You already know commercial buildings and facilities require a lot of attention. And the necessary efforts escalate when the temperatures plummet. Snow, cold, ice, harsh winds and other winter elements can be problematic on your properties. Even if you took preventative measures during the warmer months to winterize your commercial buildings, you can’t let maintenance coast waiting until spring is in bloom. Use the following list of common winter threats to develop a strategy for you and your service team to keep your properties in tip-top shape no matter what the weather is outside. 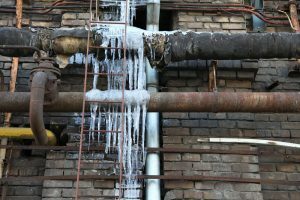 Frozen pipes can lead to a wet mess, so preventing your plumbing from getting to chill needs to be a top priority. 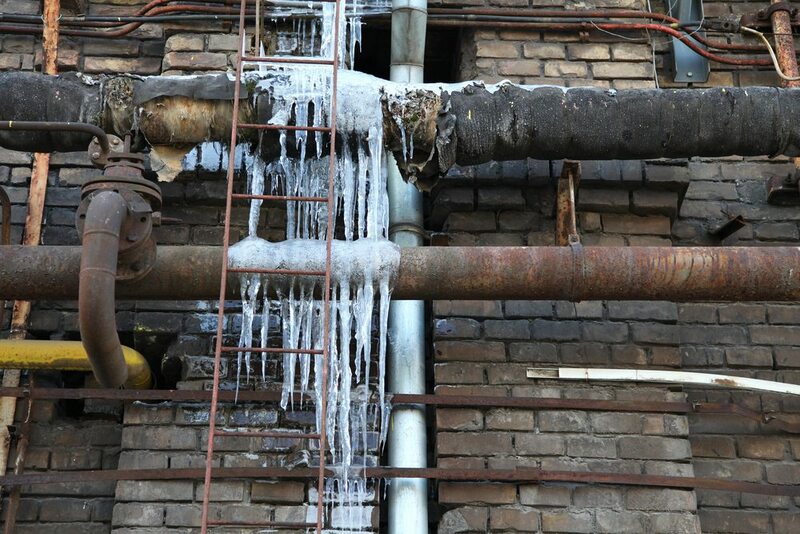 Check exposed and exterior pipes for signs of freezing. Insulate and seal cracks and openings around exposed pipes. Keep interior temperatures above 55 degrees Fahrenheit and instruct tenants to do the same. Look for signs of excess moisture and dry the area, as well as respond to mold or mildew that may have formed. The lower the temperature goes, the better the heating portion of your heating, ventilation, and air conditioning (HVAC) system needs to operate. Check for cracks and inefficiencies in your heating systems. Inspect blowers and hoses for blockages. Respond to abnormal sounds and odors. Calibrate thermostats and make sure they are working properly. Clean building air vents and monitor air flow. 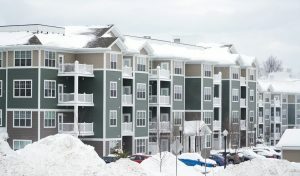 When the weather delivers ice, snow, high winds, and bitter cold, you need to act quickly and responsibly to ensure the safety of your tenants and your crew. Monitor snow piles and create a plan to remove it should it pose hazardous obstacles. De-ice sidewalks and walkways to avoid slips and falls. Clean and replace wet floor mats in entryways and indoor walkways to reduce slick floors. If what’s overhead is in poor shape, what’s below immediately becomes vulnerable. Clear the roof of high-piling snow. Inspect the roof for loose shingles and other damage caused by ice and high winds. Monitor heating costs and increase attic insulation as necessary. Avoid ice dams from forming by keeping gutters clear and preventing heat from escaping out the roof. The cold reality is that winter can wreak havoc on commercial properties, but with the right precautionary measures, you can avoid being left out in the storm. Work with your service team and call in skilled, professional vendors to keep your buildings running efficiently and effectively. Planning for a disaster is a lot of work. Cleaning up after one is worse. What makes DRS different from other disaster restoration companies is our process. Whether we’re working on commercial water damage restoration or offering fire damage restoration service and other professional restoration services, we help your business recover from any disaster quickly, getting you back up and running with minimal loss and downtime. Our critical planning for disaster recovery helps you to map out emergency response procedures and requirements in advance of incidents. Having a contingency plan in place allows for even quicker damage recovery to your important business assets and also allows for DRS to try finding ways to allow you to maintain operations while we mitigate the loss.